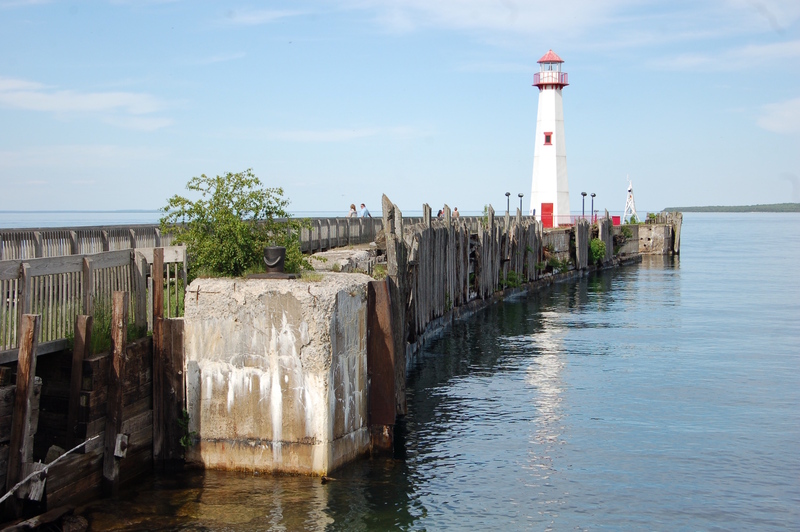 Most Michigan lighthouses have been around for decades, with long and rich histories. 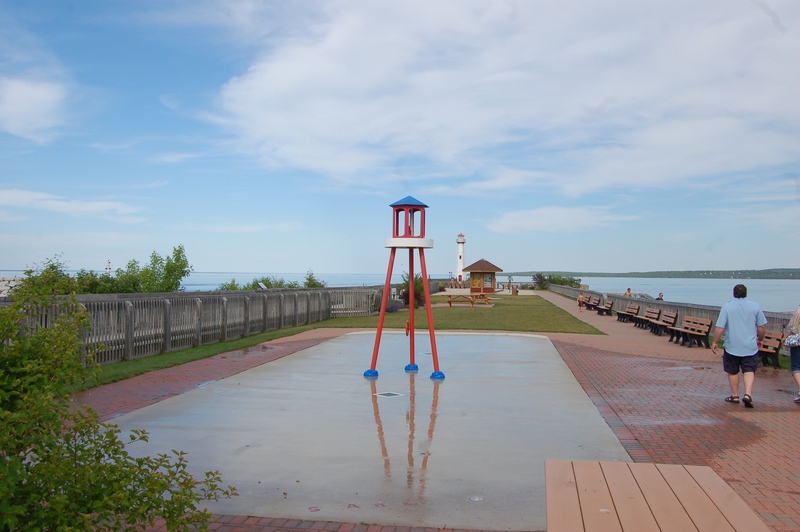 The Wawatam Lighthouse in St. Ignace is a newer addition, having been an official aid to navigation for only a little over a decade. 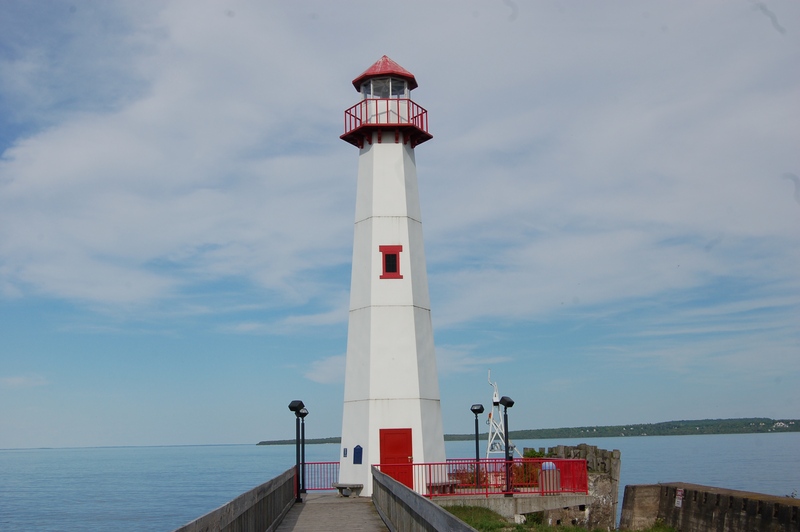 This 52 foot tall tower stands at the end of a city park overlooking Lake Huron and Mackinac Island, and it is painted white with red accents and a red lantern room. 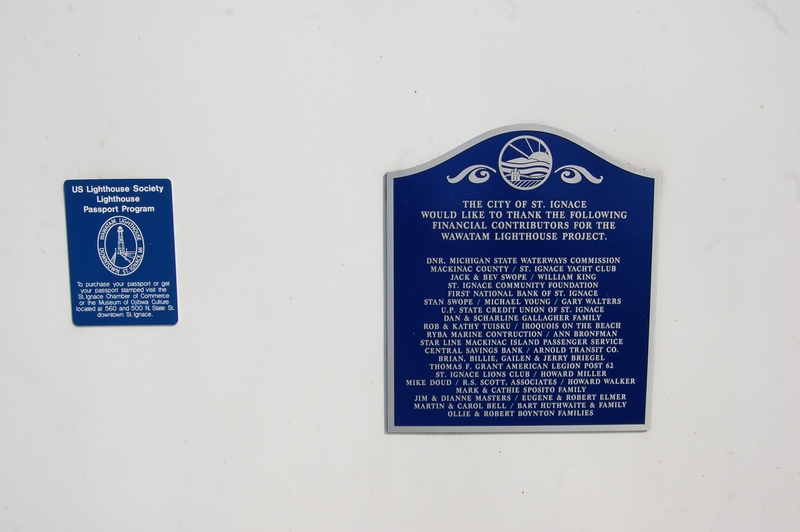 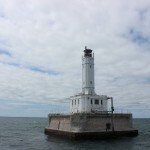 The lighthouse takes its name from the car ferry Chief Wawatam, which operated between Mackinaw City and St. Ignace before the Mackinac Bridge was completed. 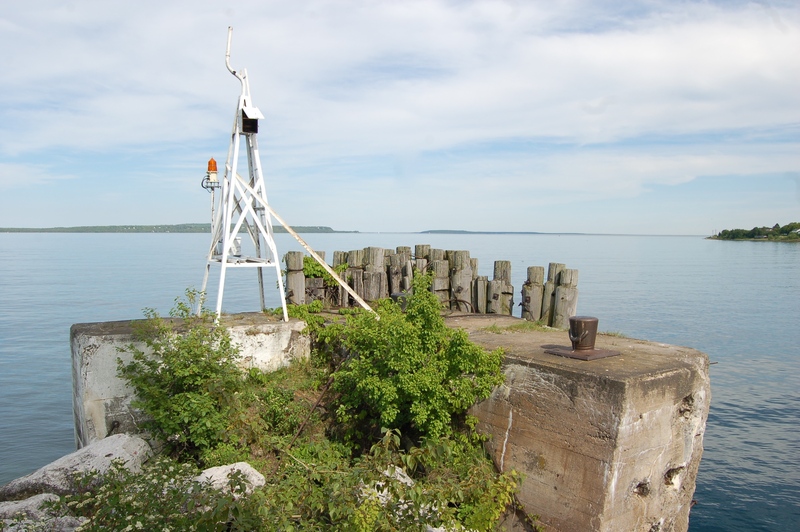 Today, visitors can watch as Star Line, Arnold and Shepler’s ferry boats pass the lighthouse as they make trips to and from Mackinac Island. 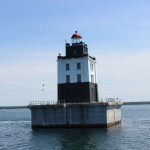 According to Pure Michigan, “This classic lighthouse started life in 1998 as a Michigan Welcome Center travel icon at Monroe, Michigan. In 2004, the Monroe Welcome Center was being revamped and the lighthouse was put up for relocation. 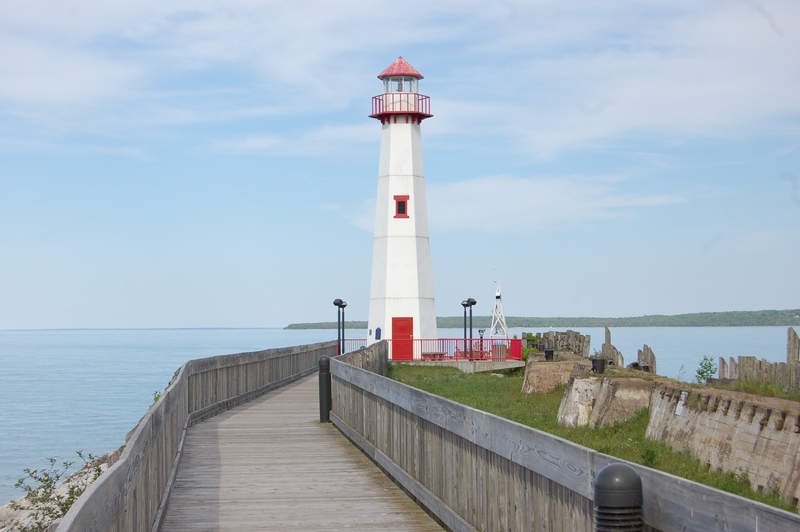 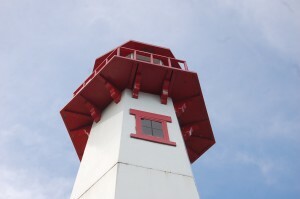 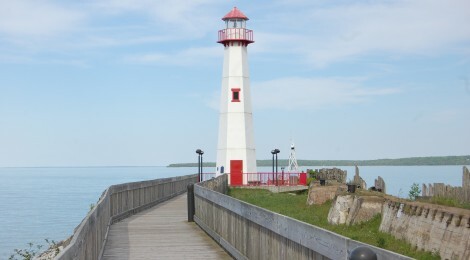 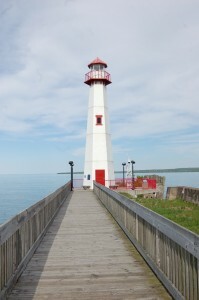 The City of St. Ignace was the lucky recipient and the structure was trucked north in five pieces.” The area surrounding the lighthouse is popular during the summer months, and a great place to catch the city’s frequent fireworks displays. 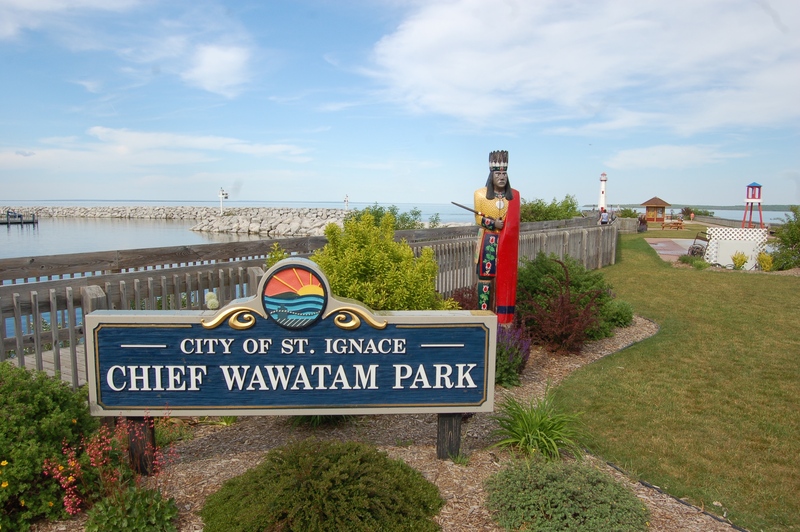 Chief Wawatam Park features a boardwalk, splash pad, informational signs about the dock’s history, picnic areas and more. 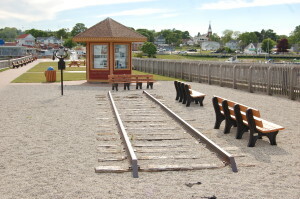 The Huron Boardwalk is part of the North Country Trail. 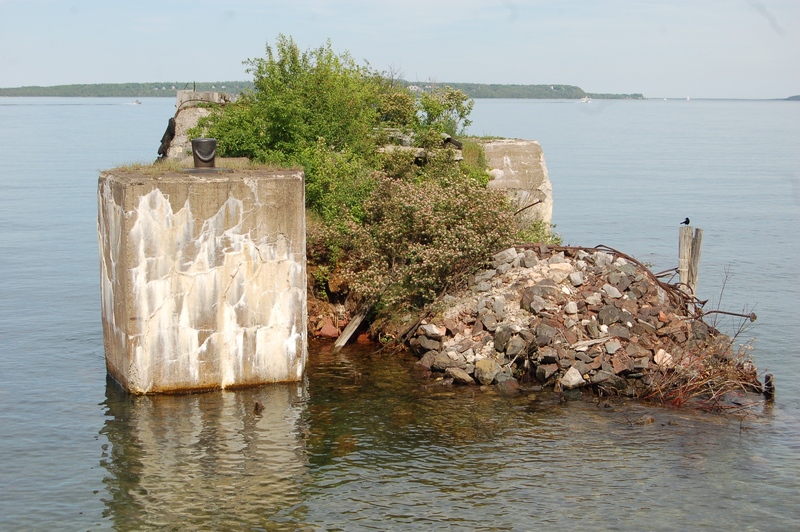 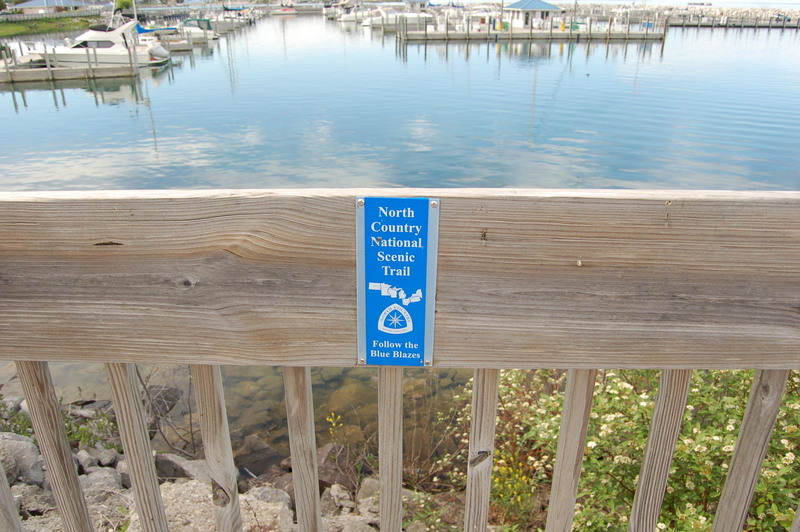 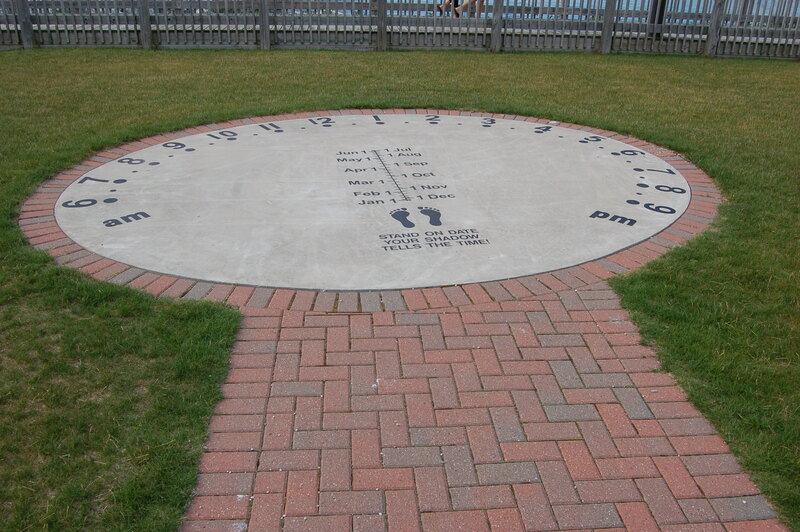 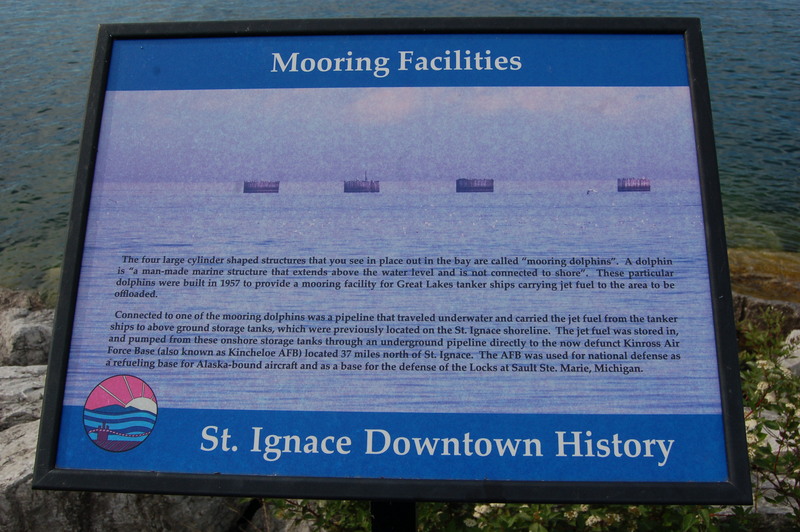 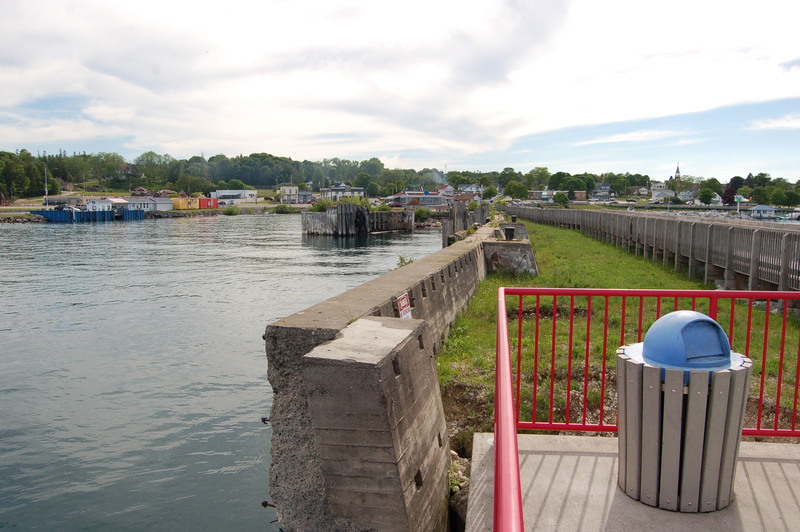 It is located on N. State St. near the Star Line Ferry docks and behind the Mackinac Grille restaurant. 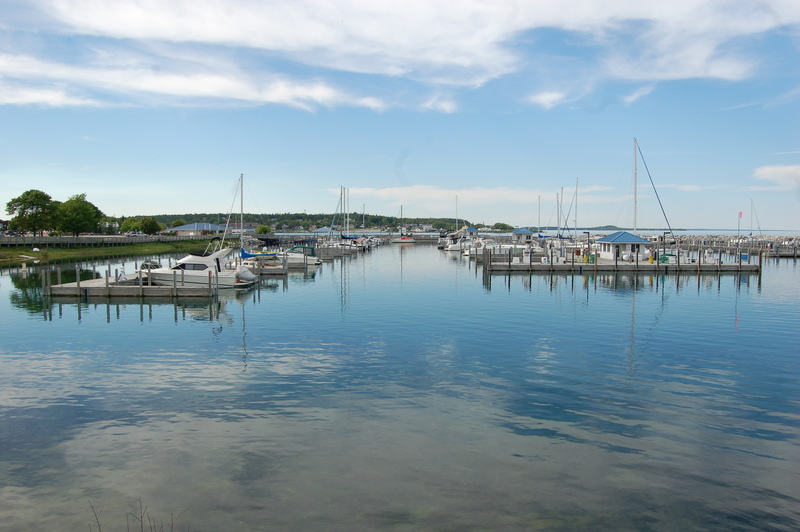 Other nearby attractions include the Father Marquette National Memorial, Straits State Park, Castle Rock and more. 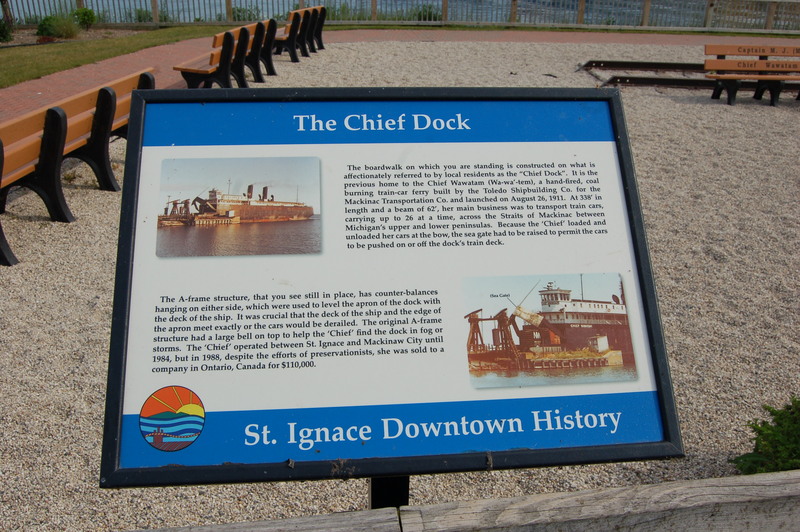 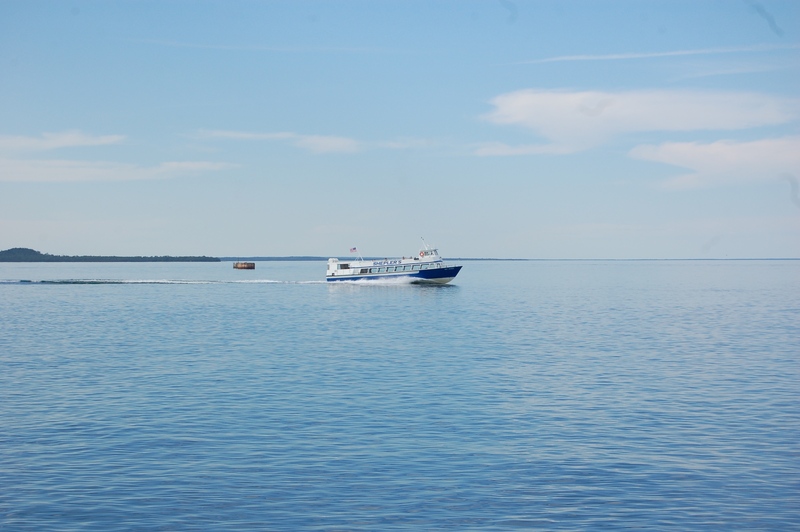 You can check out our 10 Things to See and Do in St. Ignace post for more ideas. 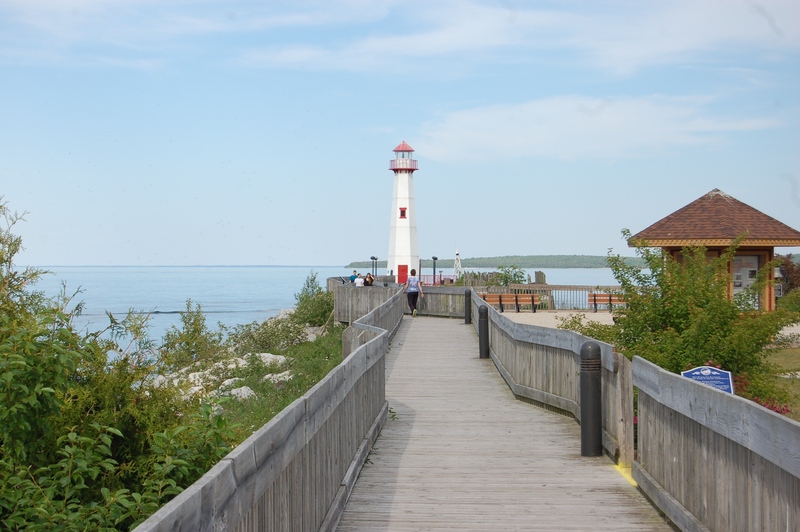 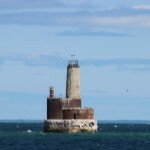 Nearby lighthouses include Bois Blanc Island Lighthouse, Round Island Lighthouse, Old Mackinac Point Lighthouse and McGulpin Point Lighthouse. 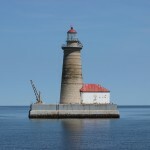 Check out the photo gallery below for more pictures of the Wawatam Lighthouse and Chief Wawatam Park.